Another monthly recap. 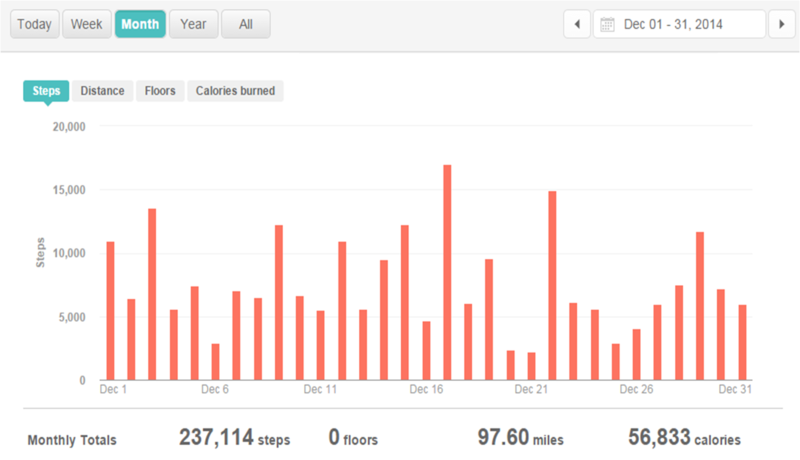 I realized now that I’m running, I need to start tracking my mileage, in addition to my steps and minutes of cardio. I thought for sure I would be lower than November, given my running limitations and lack of any marathon sessions (really – 5K) on the elliptical, but no. I beat myself my 3 WHOLE MINUTES! I can celebrate that!! For January, I’m going to start counting distance as this will be important to monitor to avoid injury. Weight: Still plateaued, but much steadier than November. 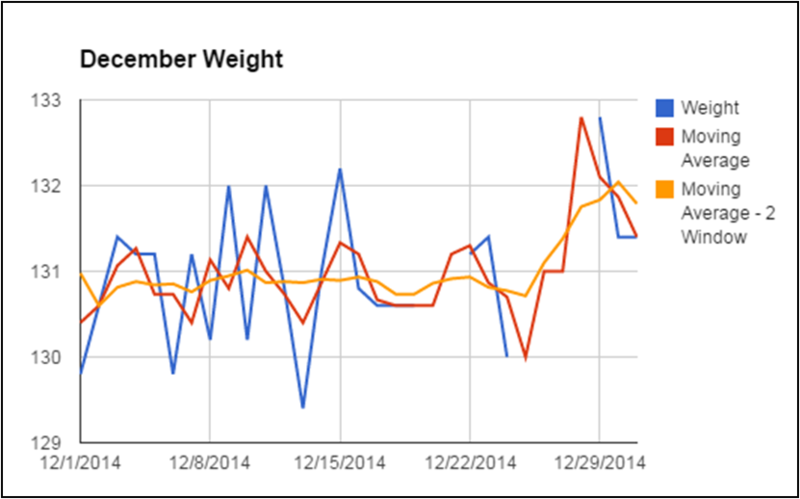 You can see I was headed in the right direction before the holidays – remaining consistent around 130 lbs instead of spiking every few days. Then I succumbed to the holidays. Goals for January are to track my mileage accurately, increase both the number and duration of my workouts and finally break the 130 lb barrier.